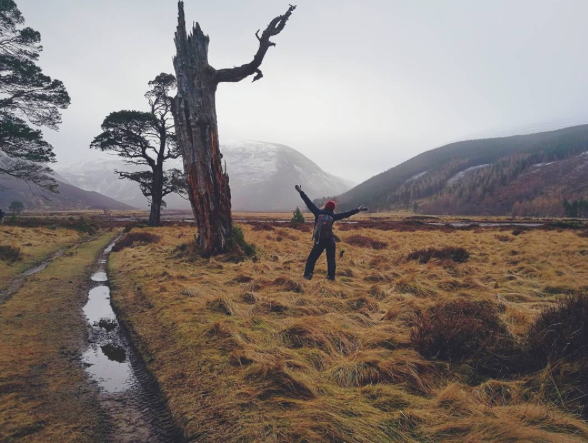 Anni shares this picture by @qarkki – sometimes you just have to stop what you’re doing and celebrate the weather. When you live somewhere with seasons, you can’t always skate outdoors. So when you can, you have to go skate. Where are you skating? More girls skate when they see girls having fun skating. 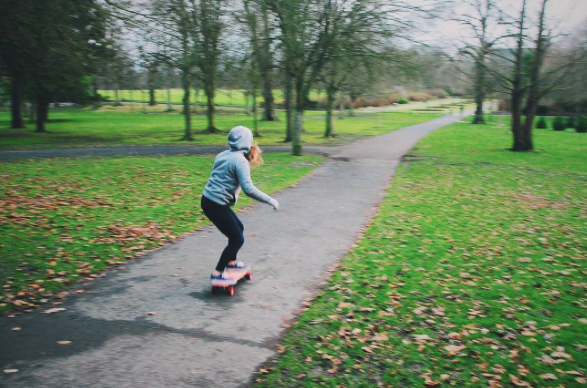 I love how Anni explores and enjoys the weather on & off her board all over the world. Wishing you all fabulous adventures and the courage to explore the world like Anni does. Thanks for sharing Anni you inspire me to travel more. 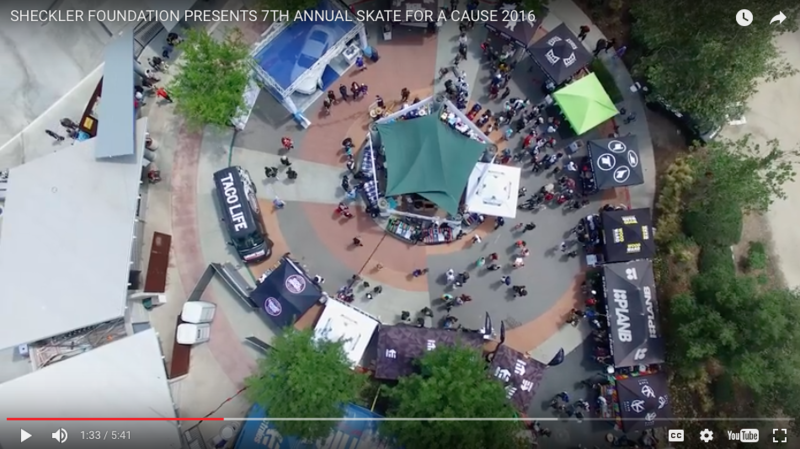 Are You in for The Sheckler Foundation’s Skate for a Cause? It’s getting close to the 8th annual Skate for a Cause. 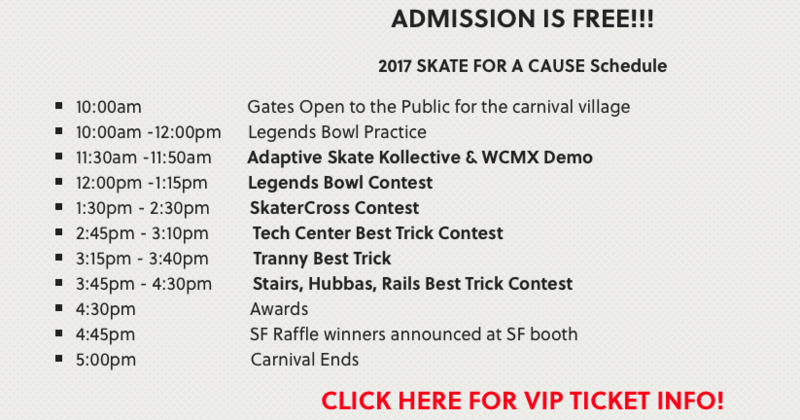 Skate for a Cause is a family friendly event that combines a world class skate jam with a carnival. 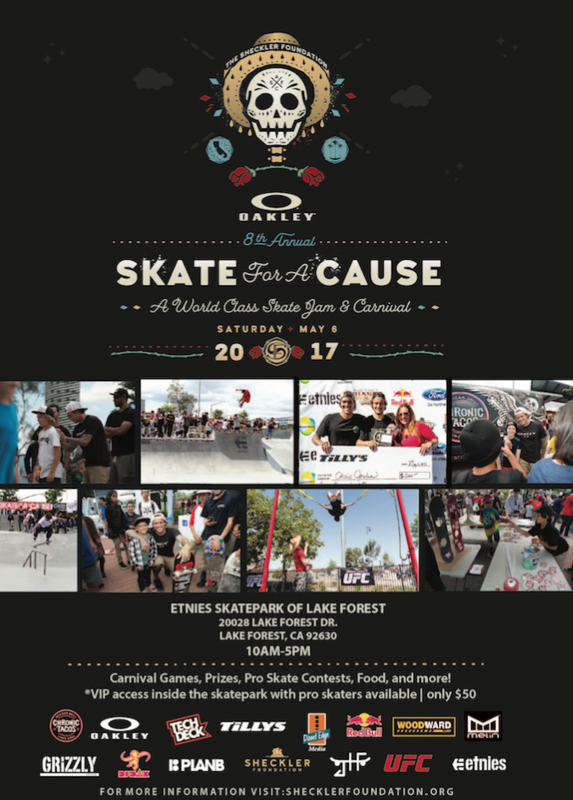 This unique skate event draws skaters of all ages and styles out for one reason…to raise money and awareness to the current Sheckler Foundation “Be the Change” project. Everyone is welcome! All you have to do is get to etnies Skatepark in Lake Forest California on Saturday May 6th. Yes, admission is FREE. Plus it’s easy to upgrade to VIP, which gets you inside the park with Ryan and the other pros. established in 2008 as a way for Ryan, his family, friends and business associates to give back to the community and action sports industry they love. The Sheckler Foundation supports causes that directly benefit and enrich the lives of children and injured action sports athletes. 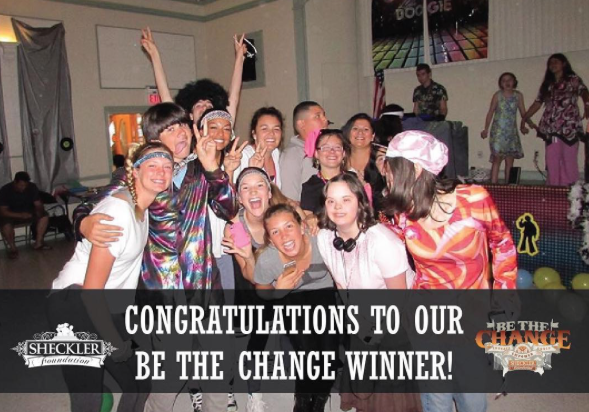 For example, in round 9 of Be the Change they awarded a $10,000 grant to Adventure Club. Below a video of the fun from last year. 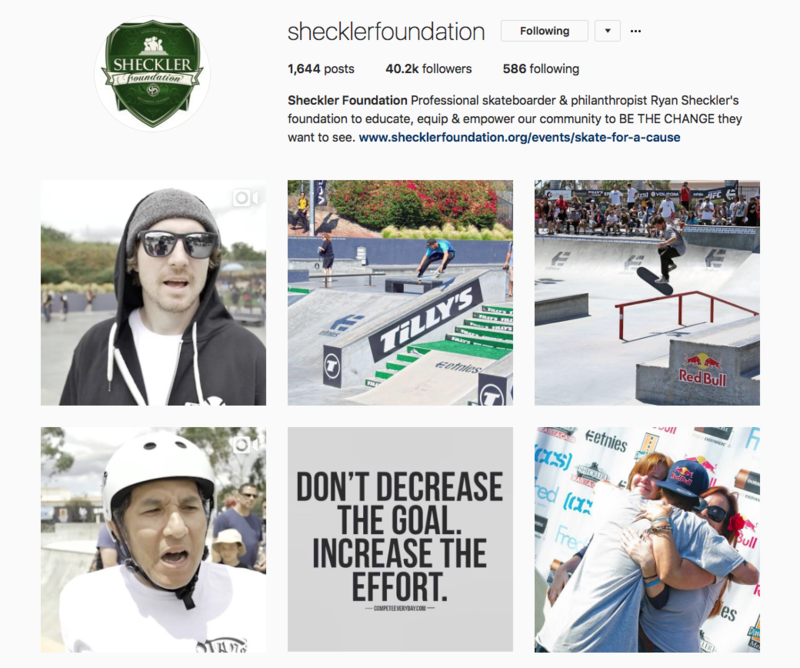 Be sure to check out The Sheckler Foundation on-line at their website or on social media so you too can Be the Change. Hope I see you at Skate for a Cause next weekend & please share your pictures & stories of the fun you have because by being part of the change you inspire others to take positive actions too. 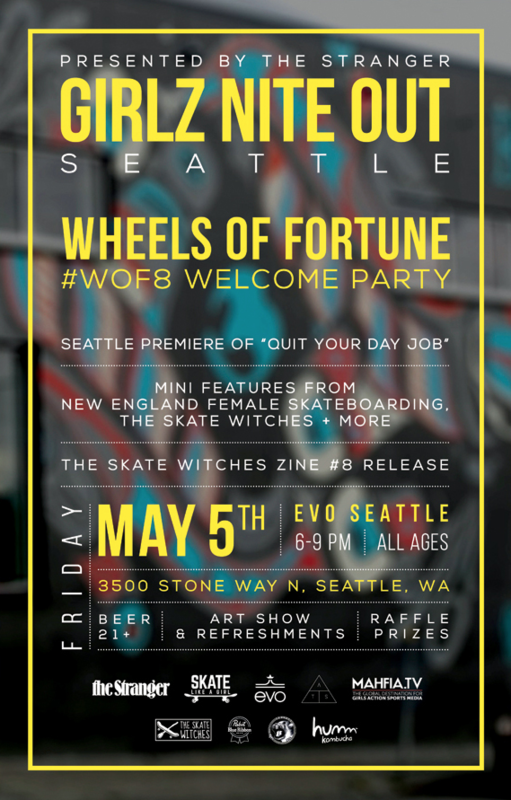 The 8th Wheels of Fortune is coming up on May 5 – 7 in Seattle. To welcome everyone there’s an all ages party! #WOF8 Welcome Party Girlz Nite Out Seattle is presented by The Stranger – Seattle’s only newspaper. The party will be at Evo – bring your board! Plus there will be #TheSkateWitches Zine 8 release and a Female Skate Photo show curated by Mahfia TV featuring images by Nam-Chi Van, Olga Aguilar, Norma Ibarra, Zora Holivia, Mimi Knoop, Hanna aka Neon Stash, Sarah Huston, Shari White, Sima, and more! There will also be raffle prizes, kombucha from Humm Kombucha & Beer from Pabst Blue Ribbon (21+)! If you can make it out & as always share your stories and events because more girls skate when they see girls skating & get encouragement. For more information on Wheels of Fortune click below to go to the Skate Like a Girl website. 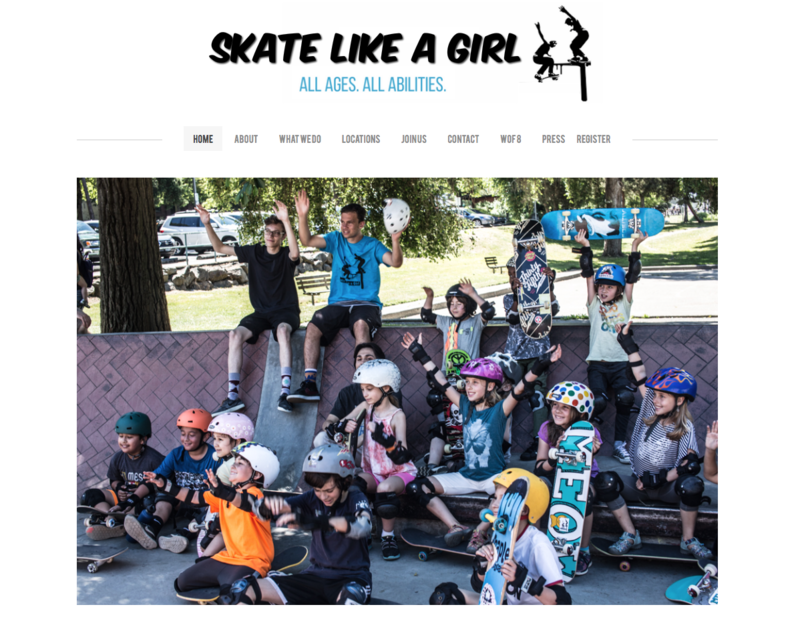 Skate Like a Girl SF Bay is currently fundraising to bring weekly skate sessions and clinics to their area starting June 2017. 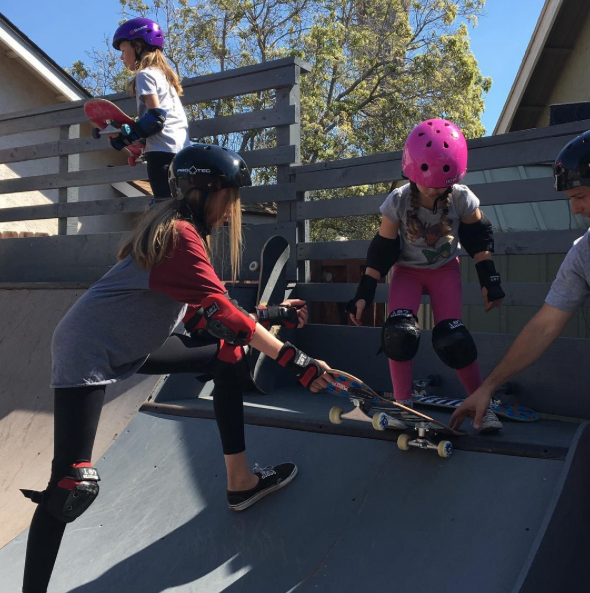 At Skate Like a Girl, people of all genders feel included, empowered and challenged within a safe space to fall down and get back up to master their challenges. 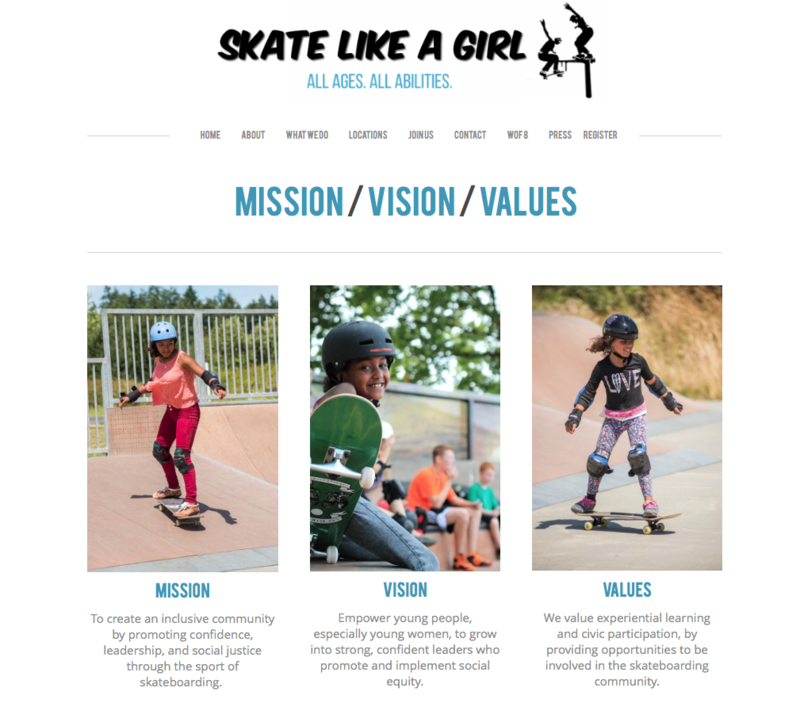 Skate Like a Girl programs include after-school enrichment programs, free summer clinics for kids, the Youth Employment Skateboarding (YES) teen volunteer program and Ladies’ Nights. 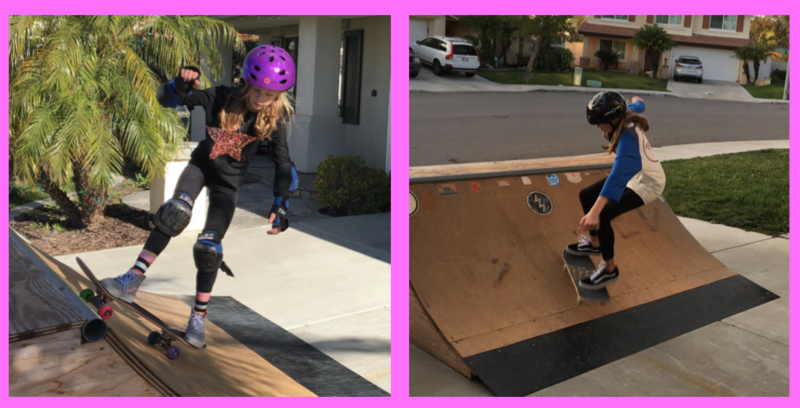 Skate Like a Girl is fostering an inclusive culture through these diverse offerings by teaching confidence, leadership and social justice through skateboarding. This unique cultural shift toward diversity and inclusion isn’t happening within a bubble. The work of Skate Like a Girl bridges the gap between existing skaters and those traditionally underrepresented at skate parks. 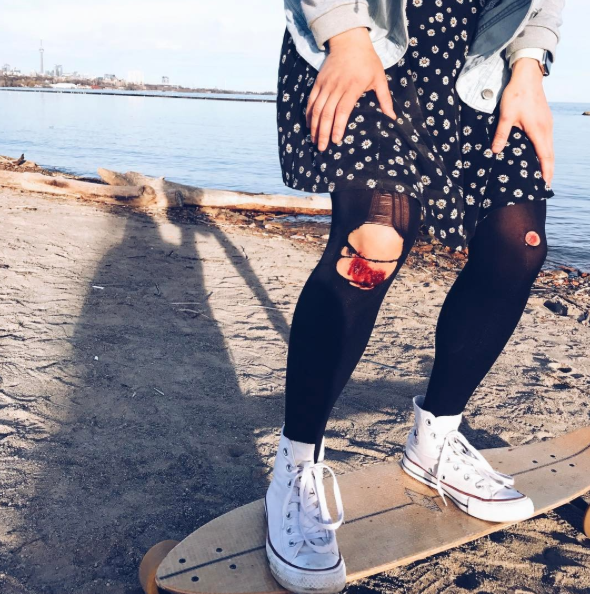 There are Skate Like a Girl chapters is Seattle, Portland, and SF Bay. I had the chance to ask Kim Woozy of Mahfia TV who’s the volunteer Director of the Skate Like A Girl San Francisco Bay Area chapter some questions. 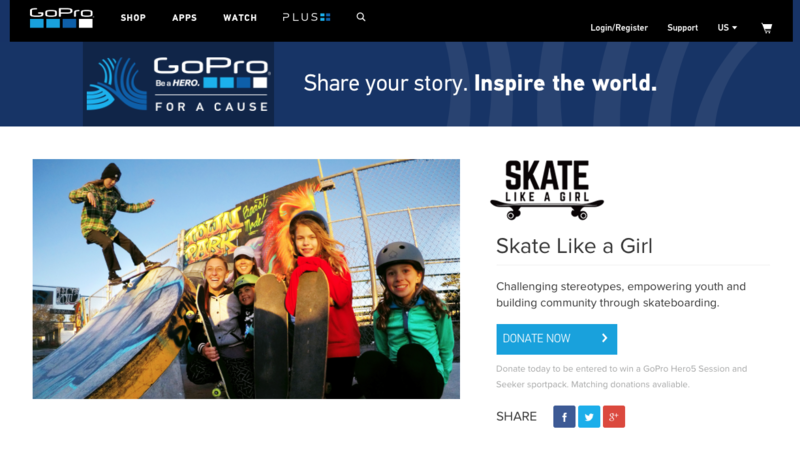 Does the Skate Like a Girl fundraising campaign with GoPro benefitting all Chapters or just the San Francisco/Bay Area chapter? Kim: This particular fundraiser is for the San Francisco Bay Area chapter. 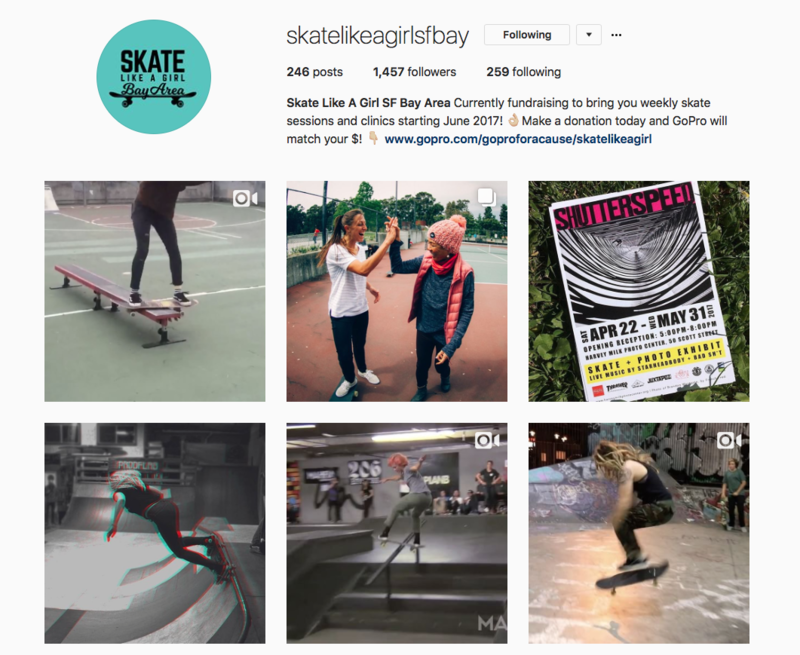 There’s a large community in the SF Bay Area that’s interested in girls skateboarding and that will benefit from Skate Like a Girl services. That’s why I’m working with amazing individuals like Ashley Masters to grow the SF Bay Area chapter of Skate Like a Girl. 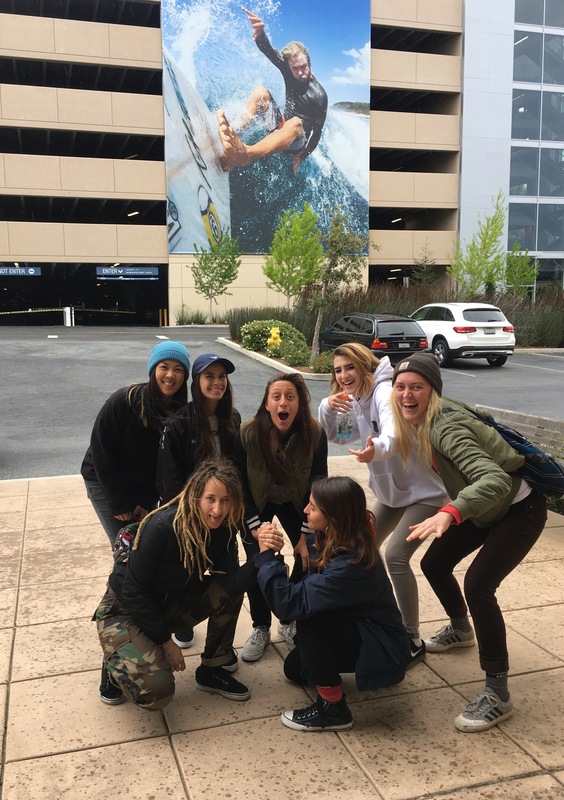 How did Skate Like a Girl and GoPro meet? 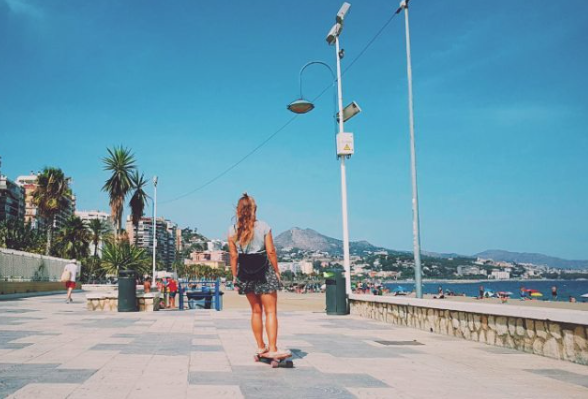 Kim: I introduced GoPro to Skate Like a Girl when I spoke at GoPro’s Women’s Summit this past fall. 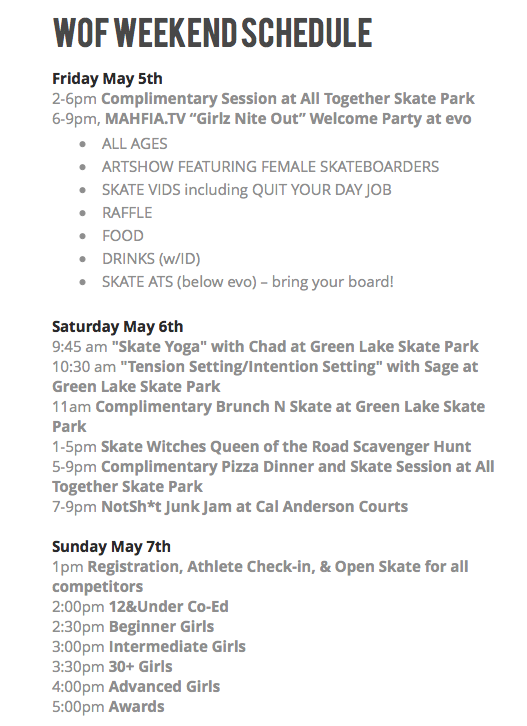 I have been involved with Skate Like a Girl for years and Mahfia TV is a media partner for events like Wheels of Fortune. 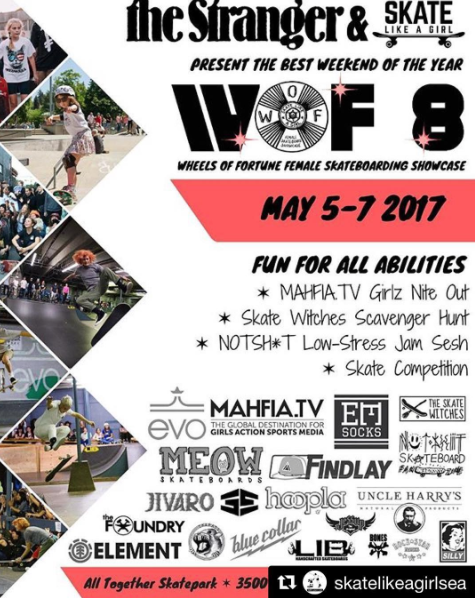 Wheels of Fortune is a weekend of girls coming together to celebrate skateboarding through competitions, skate jams, and events like scavenger hunts. 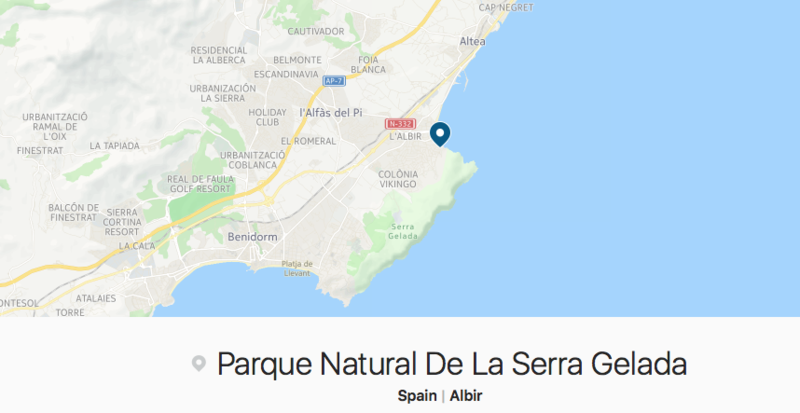 Was the dollar for dollar donation match with GoPro only on March 8th ? Kim: The $1 for $1 matching is for the entire campaign, which is currently still running. Make a difference and donate today! What’s the best way for girls to stay informed & sign up for the summer skate sessions and clinics? Kim: The SF Bay Area is building it’s infrastructure so the best way to stay informed is to follow us on social media. 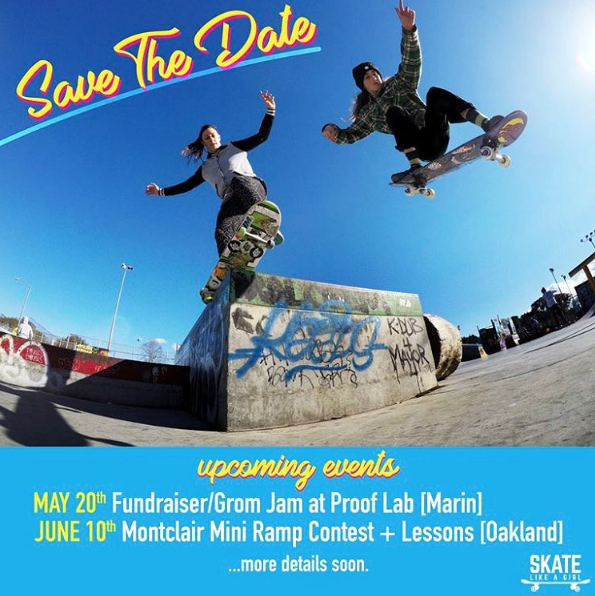 If you’re interested in volunteering shoot us a message through social media or sfbay@skatelikeagirl.com. (L to R, Back to Front) Kim W, Cori S, Ashley M, Annika B, Lil D, Nicole J, Ashley H.
For the Seattle and Portland chapters you can sign up on-line. There’s information on camps (Register Tab) and how you can sign up to volunteer (Join Us). The SF Bay Area sessions and clinics will be at rotating parks from June – September. Before the summer, we have a May 20th event at Proof Lab! Thank you so much Kim for taking the time to explain how Skate Like a Girl SF Bay Area is growing and all the exciting things we should be on the look out for. Thanks also to everyone who shares their time & talents so organizations and events like this can happen. If you want to share your skateboarding stories just let me know. More people really do have fun skateboarding when we encourage each other and share what we love about skateboarding. Susana shares this picture from Spain. She’s a fashionista, adventure lover, and animal lover. More girls skate when they see girls have fun skating and all the ways there are to have fun on a skateboard. Thanks for sharing Susana & you definitely inspired me to visit Spain it looks amazing. I asked her if she’d share why she likes skating and why it’s worth the battle wounds. Her answer was amazing. 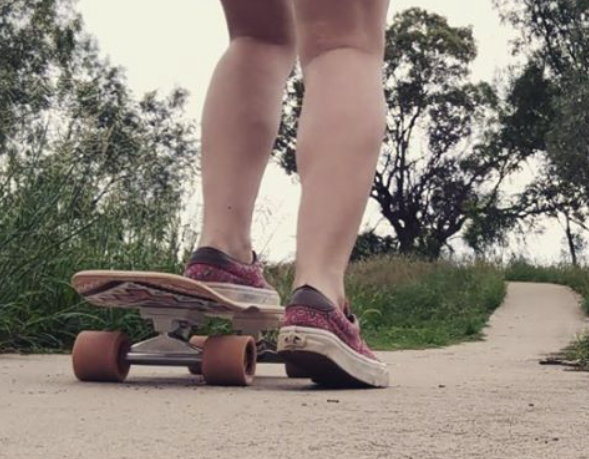 I love skatingboarding and longboarding because when I cruise by the lake and feel the wind through my hair it gives me liberation, peace, joy and solace. My mom who was my best friend, passed away 1 year ago and that’s when I started longboarding. I try new things to heal from the pain and get over the grieving process and I found it through a deck of wood, attached to some metal bearings and 4 rubber wheels. I’m so glad that Lilly found a source of “liberation, peace, joy, and solace” – a way to heal from a devastating loss. 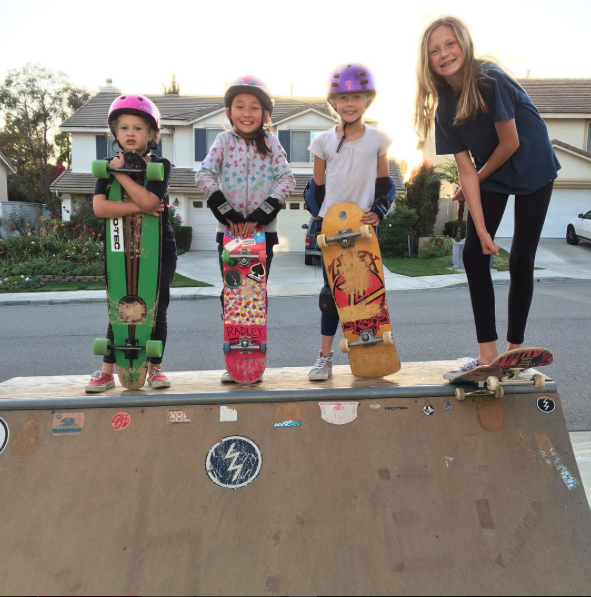 Skateboarding can be fun for so many reasons and I’m honored when girls share their reasons. Being able to share these stories always inspires me to keep skating and writing. Hangloose – when I started skating I never thought I would come that far. I just needed something to balance me. And all of a sudden it became the center of my life. Everything fades away.It’s just me and the movement.I feel so close to myself. To my own interest and longings. ♡ Thank you skate and thank you friends who believe in me. She’s a professional photographer, teamrider for Bastl Boards, Seismic Skate, Aeon Trucks, bleed organic clothing and Ethletic Handpoke tattoo artist. Why do you love to skate? More girls skateboard when they see girls having fun skating and read about all the reasons they love it. Hope you share your story & pictures soon. 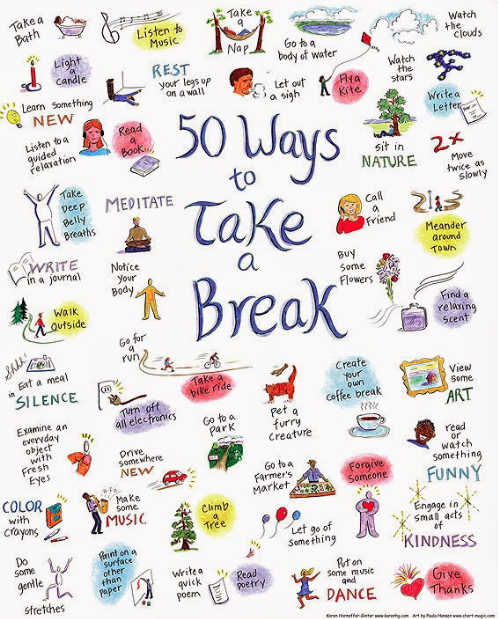 Taking breaks from work is not wasted time. It’s important to have an activity that improves your mood. 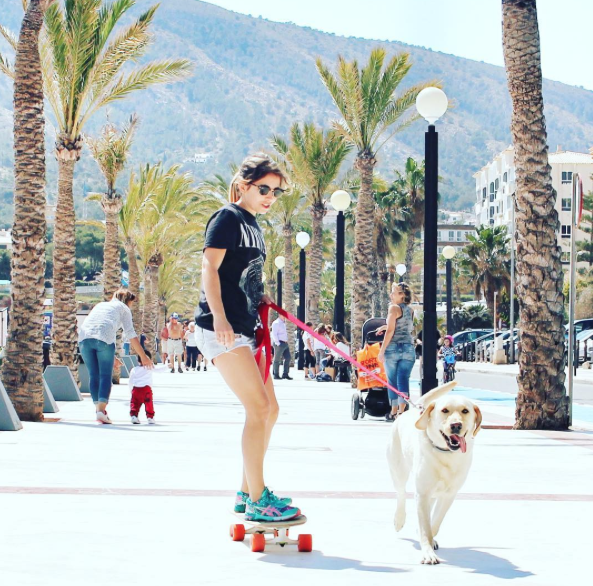 Skateboarding is sport, art, exercise, rolling yoga, transportation, self-confidence building and so much more. Enjoy your time on the board – it’s your time. Staying positive is your choice, so why not engage in activities that build positivity? Where & why are you skating? More girls skate when they see girls having fun and learn all the reasons there are to skateboard. Thanks Judith for giving us another fabulous way to take a break & Happy FriYay!!! Skateboarding at the park is fun & so is skateboarding in your neighborhood with family & friends. Love this picture from Sara. 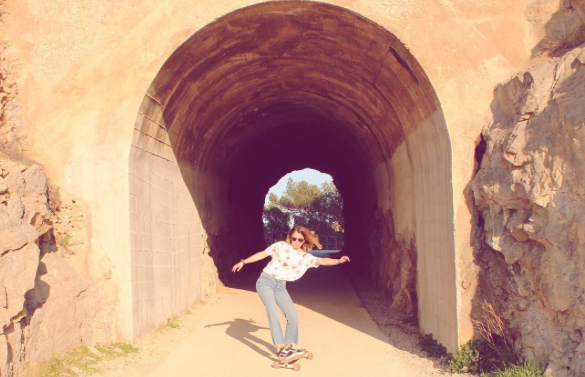 Sara‘s a mom of 3 amazing girls who do tons of rad stuff like skateboarding. Plus she’s Director of CenterStageSingers.com a children’s performing group. Above it’s her three daughters and a neighbor. Above it’s big sis teaching lil sis. How are you sharing skateboarding? More girls skateboard when they see girls having fun skateboarding and get encouragement. Hope you’re like Sara and share your pictures soon and thanks to all the parents like Sara who encourage their daughters to follow their passions and accomplish their dreams. 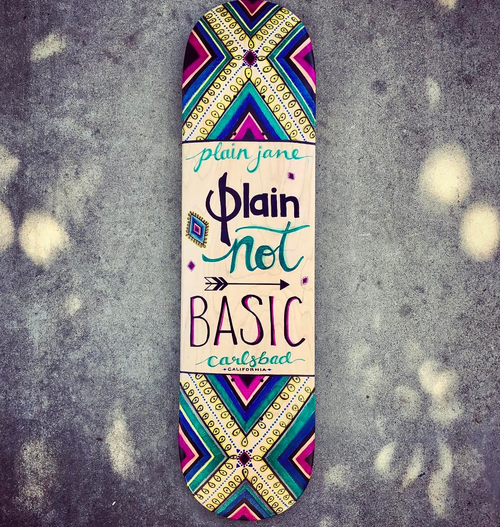 Plain Jane Skateboards is a new skateboard line. Inspired by Girls, for Girls. 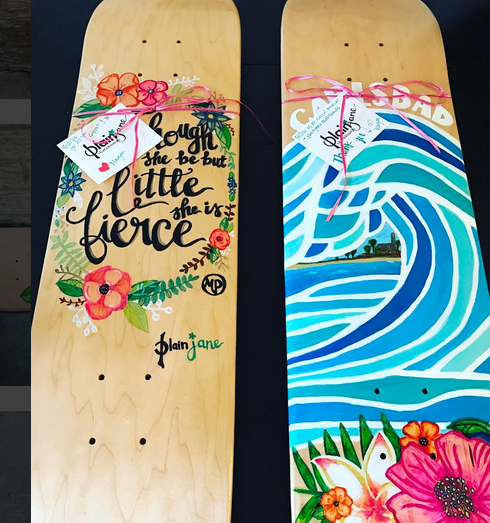 These boards are hand drawn and ready to shred! They are made in the USA from pressed 7ply Hardrock Sugar Maple. Shipping is included in the price. Be who you are. 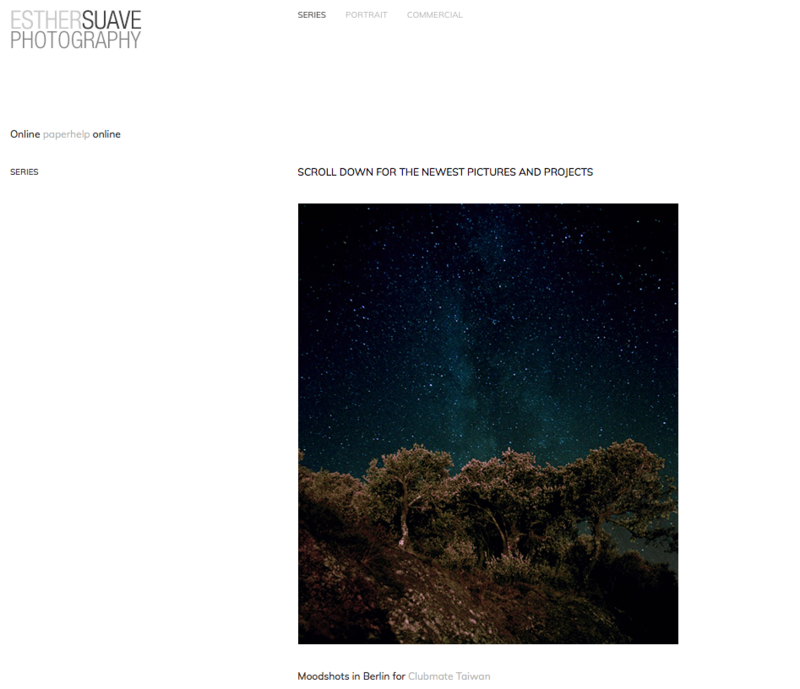 I contacted them to ask some questions and met Margan Poulos. She’s the co-owner of Plain Skateboards with her husband John Poulos. She wanted to have a girls’ side to their company because it felt very specifically boyish which was hard for her to put her whole heart behind. Plain Jane is her creation. When did Plain Jane start? 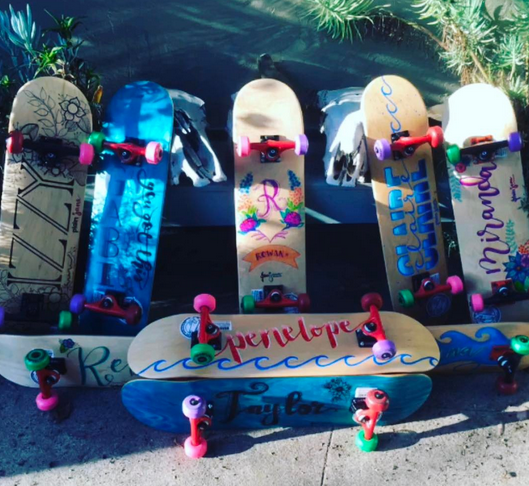 Margan: I started Plain skateboards with my husband because we love the skate community in San Diego, especially North County, and we wanted to give back. We donate a portion of profits to different skate causes and non-profits, including many local ones. We love to collaborate with people of a like mindset who are giving back and contributing to skating. We see skating as more than just drugs or what’s cool but an expression of life, an art form, a community, an anti-depressant and above all a family. 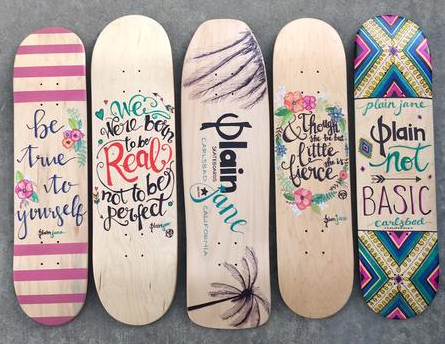 Plain Jane is the female or more girly or even just customized version of Plain Skateboards. Plain Jane started as an idea in November and became reality a couple of months ago. Here are some of our first decks. Plain Jane is girly and fun and about you! We can create whatever you fancy! Above all our motto is Be who you are because that should always be enough! If we can’t be ourselves whether that is girly or tomboy, funny or serious, tall or short, curvy or straight, confident or shy, pretty or plain and everything in between, then what kind of life would that be!? We want girls who live out loud and make no apologies. And if you’re not quite there come join us on the ride and we’ll see if we can get there together. And I think we’ll find that we are not so plain after all. Are you in Carlsbad, CA? Do you ship everywhere? Margan: We are in Carlsbad. Our boards are made and manufactured through Plain Skateboards (more specifically through Quincy Woodrights in Carlsbad) and then sanded and painted and finished by me. All boards are made of 7 ply Hardrock sugar maple. They are great decks that give a lot of pop and really ride well. We ship anywhere in the US for free and out of the country for as cheap as we can. How did you come up with the idea? Where you just experimenting, created a board and went wow this is something I want to do & share? Do you skate or were you motivated by a skater? Margan: I wanted a girls line of Plain for a long time. We started with girls’ shirts and stuff. I really got the idea for a board when I decided to try skating with my husband. I saw him having so much fun skating with all his friends and meeting so many cool and fun people, that I decided to try it. I thought we could skate together. When I was a little girl I loved skating on the street. I was a tomboy who played sports and played with the boys, but as I got older I outgrew being a tomboy and fell in love with everything girly, flowery and beautiful. Looking back I always loved girly things, but there were no girly things in sports. When I grew up, sports equipment was all very boyish and manly so it seemed you had to like boyish things to be a part of it. If you wanted to play or skate you had to run with the boys, which I did, but inside I really wished there was something that was more me. As a 33 year old returning to skateboarding, I just wasn’t excited about my board choices. I went into the store and there was literally not even one board in my size that I identified with. I ended up just settling for a Lance Mountain board that was the right shape. I absolutely mean no offense to Lance. He is awesome, but he does not create the girliest boards. Ha-ha. I wanted a board that I loved and that spoke to me. I am all about aesthetics. I choose cars based only on how they look. It drives my car-selling husband insane. Regardless of how it performs, if the car doesn’t speak to me, it is worthless. I believe that when we get dressed and put on makeup we feel better about ourselves. Not to impress other people, but to be confident and feel like we are bringing our best game. Not that you have to wear make up, I just share that because that’s what I like to do. But whatever you like, whatever your style, just show up and bring it and care. I think that translates over to sports and skateboarding. I know I would feel more confident and excited about learning to skate that bowl, if I loved my board with matching wheels and trucks plus I had pads in a color I liked. It’s cool that everyone has different tastes and loves what they love. I think we all gain confidence when we have something we love with us. I couldn’t find really girly and pretty boards so I decided I would make them. I felt there had to be other skater girls who would also want beautiful girly boards to skate on. 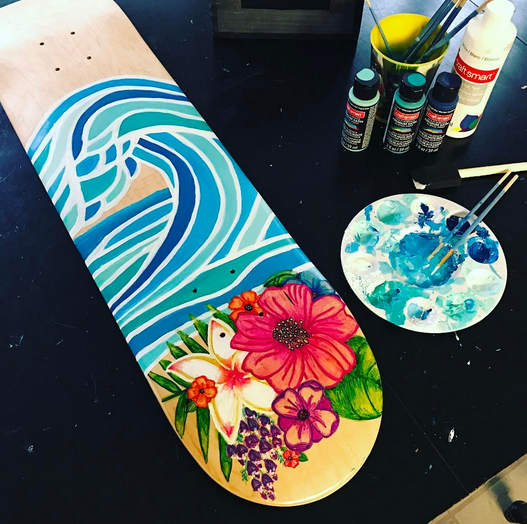 While I love beautiful things, I am also tough and a competitor when I am active, so I wanted to make a beautiful and strong board. I think it’s possible to be both beautiful and strong. I believe you can love makeup and flowers while being a good skater and awesome at what you put your mind to. They don’t have to be mutually exclusive. So that’s basically what made me want to start this journey. I love to create and I have always loved to draw. 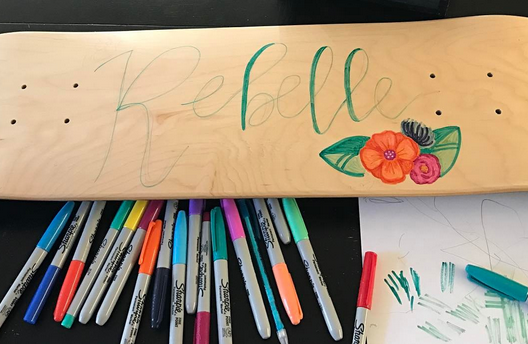 I have been making hand lettered signs for friends and family for a long time, so I just combined my passions for drawing and art with my wanting a beautiful skateboard that says this is me, this is mine. Our motto is “Be who you are” because I strongly believe that people should not have to change to be accepted in whatever thing or area of life they want to be accepted into. We should be enough. It has taken me a long time to be comfortable with who I am and feel good about it, so I wanted to make something that would let girls know that they are amazing just how they are. Right off the bat, as little girls you are amazing. Girls don’t have to change to be harder or tougher if they don’t want to be or on the flip side, they don’t have to like pink if they don’t like it. I wish that I had felt an acceptance like that when I was younger. I wish I had had a girl group to skate with or play sports with, but I didn’t until much later. With boys you have to be tough all the time. You can’t cry or they make fun of you. I think girls are different and they create a more accepting and encouraging atmosphere and that’s what I love about girls and why I specifically wanted to create for them. 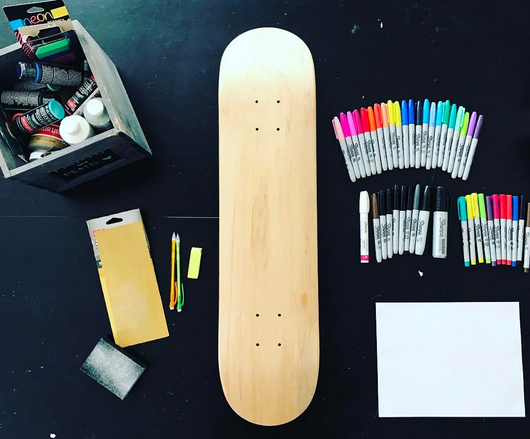 What’s the process for ordering a skateboard –for example do you pick a template (5 boards on 3/8 post) that you can then have customized or send in a design or ??? Pick your shape? Pick your size? Margan: Currently we are taking custom design requests by e-mail at plainjaneskateboards@gmail.com plus I have my designs on the website. Soon we will have a template up on plainskateboardco.com with options such as size, shape, type of art work, quote or name personalization. I try really hard to create whatever people have in mind because I want them to have a board they’ll love and know is all theirs. I encourage people to share their dream board with as many specific as possible so I can try to create it. Some people prefer to give me an idea and let me create from there or I can give suggestions whatever it takes to create the board that speaks to them. Can you describe the art process? Margan: The art process usually starts with me drawing on pencil and paper. Then the board is sanded down a bit so I can pencil the design on the board. Next I do color which could be sharpie followed by paint over or just paint or just sharpie or a mixture of both. Finally, I seal all the boards with a few coats of enamel and lacquer to seal the art. A board usually takes anywhere from 3 to 7 hours depending on the depth and complexity of the design. I put a lot of love and heart into these. I probably should charge more than I do, but I want people to have them and enjoy them. I don’t want them to be so expensive that people don’t want to even ride them. Lol, I want people to enjoy riding them Plus it’s a creative outlet for me that I love doing so we all win when someone gets the board of their dreams. How does someone order theirs? Margan: Right now to order people should email plainjaneskateboards@gmail.com with the size, shape and specifics of what they want on the board or order pre made boards on PlainSkateboardCo.com. New things are in the works including a logo deck that will be a standard heat transfer deck and stickers can be bought online now at plainskateboardco.com. 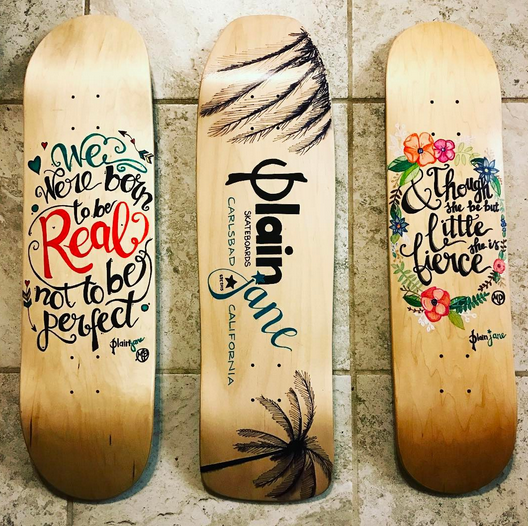 Follow us on Instagram & our Facebook group Plain Jane Skateboards to keep up with updates on all the new products and see the latest creations. Can you buy a complete or are you just selling the deck? Margan: We don’t have completes right now but that might be coming soon. Thanks Margan, your share was incredible. 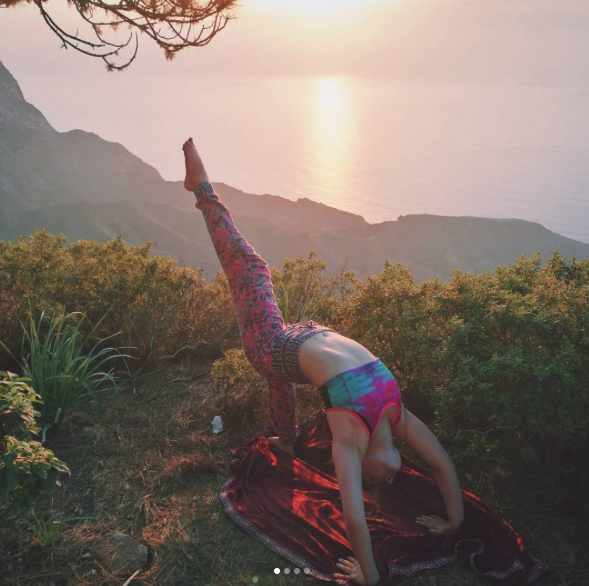 An inspiration to all – love who you are & if you can’t find it make it!